Looks like it is coming along nicely. Keep up the good work. Pretty much. An intercom control box is in each side opening. The middle opening can also have one. Cobra Company has the IC boxes in their 1/35 UH-1 Detail / Correction Set (35011). CC also has a couple nice sets for the 1/32 interior. 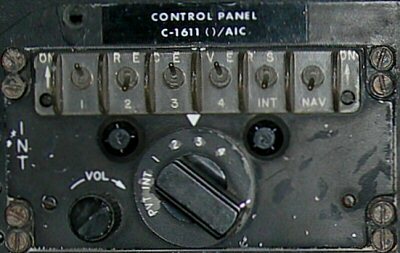 In the stock UH-1D/H the center roof controller is the cabin light control panel. An example of the center opening cabin light panel. Love what you did with the lights. I can offer up a small detail on the door guns if this works. Gonna enjoy following your build. Have had the great fortune to be on every side of the howitzers. It was a common practice to add a C-Rations can (or beer can apparently) to the feed side of an M60 MG when using belted ammo. 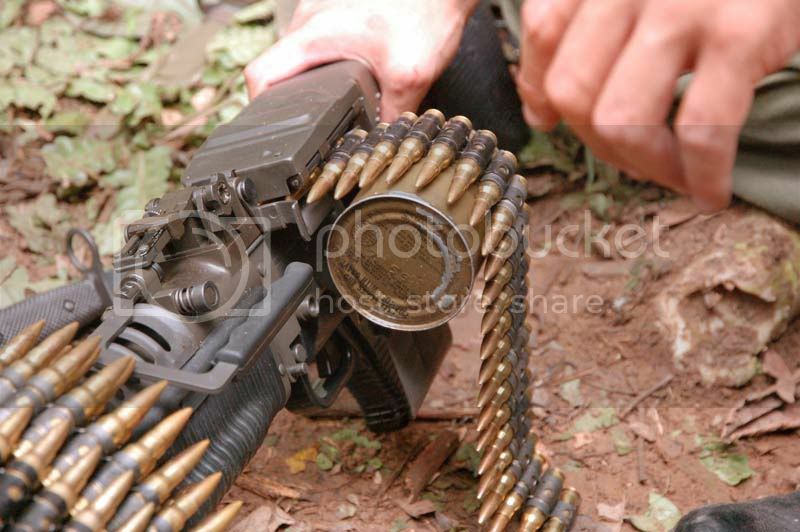 The belt had a tendency to kink and jam the gun if it fell to a 90 degree angle due to the links. The can prevented the belt from falling and kinking. 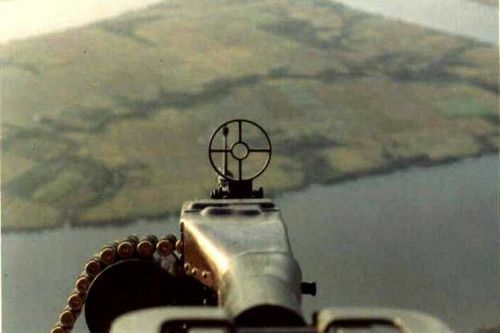 This was not needed when using the feed chute though as part of the M23 door gun system. Wiring done yesterday... Model car garage HT wires I had lying around..... I hope it looks ok. Looking good. The cabling came out really nice. I usually weather the interior w/the seats in, but before closing it in the fuselage. I give it an overall wash of a light/medium brown color for some dust and dirt. I also use some gunmetal on high traffic areas of the floor to show where the paint has been rubbed down from boots and dirt. Lastly, a sparing amount of aluminum or silver for really worn areas. I add the wash to everything; floors, walls, seats, etc. Go a little lighter on the fabric parts and heavier on the floors. 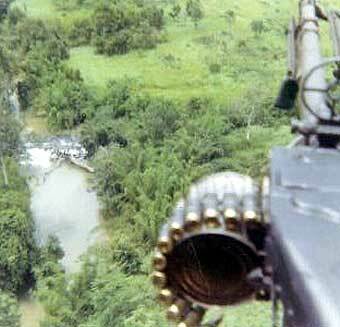 On a Vietnam Huey, the insides of the cockpit and cabin (fuselage) walls should be the same grey that you used on the floor. The black cockpits and cabins were a later feature not seen until the early '80 to make them compatible for NVGs (Night Vision Goggles). The grey was too light and would interfere with the goggles by reflecting too much light, effectively washing them out.